WELCOME BACK!!! We are having a great first week of school! Thank you to all who attended the TK-5th grade Back to School Night last night! If you were not able to attend last night, we will try to get a copy of Father John's address in next week's bulletin. Tonight our Junior High parents (students do not attend) are invited to learn about the upcoming year. We will be gathering at7pmin the Amphitheaterto hear about curricular instruction and then we will move to classrooms to learn about grade level information from homeroom teachers. 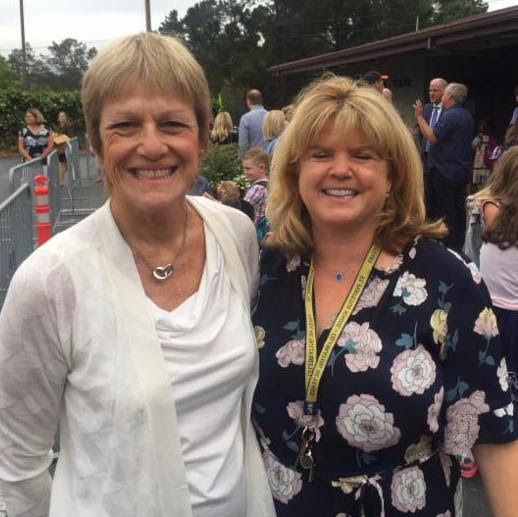 I am looking forward to seeing everyone thisSunday at4pmon the upper lot for ourBack to School Mass and BBQ. Every year, this event is a wonderful way to build our school community and meet new friends. Thank you to Parent Association for coordinating this celebration.Hereis the sign-up link.Please sign up by tomorrow (8/24)so we can plan food for the correct number of attendees. Lord, I pray that my kids will experience the peace of God this year that exceeds all understanding. I pray they will not worry about things they cannot control, butthat You will guard their hearts and minds and keep them trusting in You. I pray they will not onlyenjoy the peace of God, but peace with God. I pray they will develop a spirit of gratitude and thanksgiving as they look to You daily for their needs. I pray that You will give them the capacity for joy that bubbles up from Your peace. We are in the process of updating the 2017-2018 School Directory.If you have changed any of your contact information, please send your updated information to Suzanne Kozel ASAPskozel@csdo.org. We have a few of last year's yearbooks available for sale.Stop by the office if you'd like to purchase one($35 check or cash). 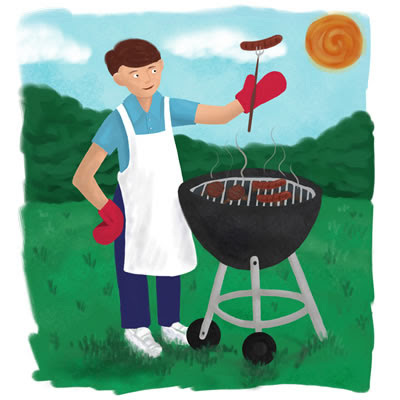 Our Family Mass & BBQ is this Sunday! As we begin our 2017-2018 school year, we celebrate our community and faith together with mass in ouroutdoor pavilion, followed by a BBQ. We hope your family will be able to attend this event to greet old friends and meet our new families! We have aSign Up Genius linkfor attendance sign up and volunteer opportunities.Clickherefor the link.Please RSVP by TOMORROW (8/24) so we can plan for the correct attendance. Mark your calendar forMonday, September 18, 2016for a fun filled day of friendship, golf, good food & spirits flowing at the beautifulOrinda Country Club.Your participation in this 'Tee-Off Technology' Tournament, whether you play, sponsor a hole or are a Title sponsor, will make a difference for our kids and teachers.Clickherefor registration link. I am very excited to be a part of the St. Perpetua School community. Thank you to those I have met for being so welcoming and supportive. As parents, we must be role models that we are open to reaching out for help. Most of us find ways to manage physical pain by reaching out to professionals as needed. Or we may seek tutoring for our kids if they need academic assistance. It is so important to role model that we need social and emotional support at times. I am here to meet with parents, staff and students to work together helping kids navigate the ups, the downs and even the sideways of their years at St.Ps. I will be at school on Tuesdays, Thursdays and Fridays from8:45am-1:45pmeach week. I look forward to working with all students in classroom settings. I will also be available to meet with students one-on-one and in groups with parent permission. Please complete a"Permission for Counseling Form"if you would like your student to be able to meet with me in my office as needed. Please see mywebpagefor more information andfeel free to email me at any timekbacher@csdo.org. Summer Reading was BIG FUN! Summer Reading ends onAugust 20th, 2017. Please make sure to submit your student's Summer Reading BINGO cards ASAP, no later thanAugust 21 - 25, 2017. Extra copies are available on ourschool website.Late entries are not accepted. If you have any questions, contact Mrs. Hinton atshinton@csdo.org. Any 5th, 6th, 7th, or 8th grade studentsinterested in running for office or joining the Leadership committeemust attendan informational meeting onMonday, August 28, at snack recess in the 8th grade classroom. For students unable to attend theMondaymeeting, there will be a second meeting onThursday, August 31.Attending an informational meeting is mandatory.There, interested students will receive more information and permission forms. 7th or 8th gradestudentsmay run forVicePresident. 6th, 7th, or 8th gradestudentsmay run forTreasurer, Communications, Spirit, Athletics, orEcology. Students in5th, 6th, 7th, and 8th grademay also choose to apply to join theLeadershipCommittee. Applications will be availableWednesday, September 13. All studentswho run for office or join the committee will also need to meet certain academic and conduct requirements: capable of maintaining at least a B- average and good conduct scores. More info is availablehereor in the This Week's Flyers section of this bulletin. Contact Ms. Schwarck athschwarck@csdo.orgif you have any questions. Our Hot Lunch provider, Food For Thought, started today.Here is important information regarding their new software system! Please log in athttps://f4tc.ahotlunch.com/loginand sign up for an account so you can order for the upcoming school year.Yourschool codefor the new software is12c.You will need to log onto this new system before you can order lunches for your student(s). Clickherefor more program information or see 'This Week's Flyers'. Looking for a volunteer opportunity?You can be a Hot Lunch Volunteer! Hot lunch shifts are from11:45am to1:00pmand count toward your family volunteer requirement.You will receive a $10 credit in your Food for Thought account each time you volunteer. You maysign up for as many shifts as you would like.Clickherefor the sign-up link. Please make sure you can commit to the shifts you sign up for.Once you have signed up for a volunteer shift and you cannot fulfill it, you are responsible for finding a replacement volunteer forthe shift. You canswap a shift with another volunteer (there is a "swap" request functionwithin Signup Genius)or contact Pete Fitzmauricepete.fitz07@gmail.comto receive the sub list and you can then contactthe subs to find a replacement. WOW! It was so good to see your children yesterday! Many of them did not have calendars or registration forms, as I know everyone is just settling in to your schedules. Please make sure you have yours filled out, and $75 fee submitted. Kindly remember whenever possible to email Mrs. Kenney and Mrs. Kozel when you know your child will be using Panther House that afternoon, if you have not already scheduled those hours on your calendars. It helps everyone, especially your children, transition into a more enjoyable, stress-free afternoon. For our extended care, we've got lots of fun activities scheduled throughout the year. Look forward to hearing more about Halloween face painting, 5th Annual Pumpkin Run, Up-cycled building project, Christmas gift-making workshop, wrapping paper design workshop, cookie decorating workshops, Valentine making workshop, The Lucky St. Patrick's Party, Earth Week activities, and much more. The double gates, most commonly used to enter the school grounds by car, will be closed as an extra safety precaution for outdoor play for Panther House children after3:30 pm. Please come into the parking lot using the driveway nearest the office. We hope you will not mind this minor inconvenience for the safety of our children. Thanks for your cooperation. 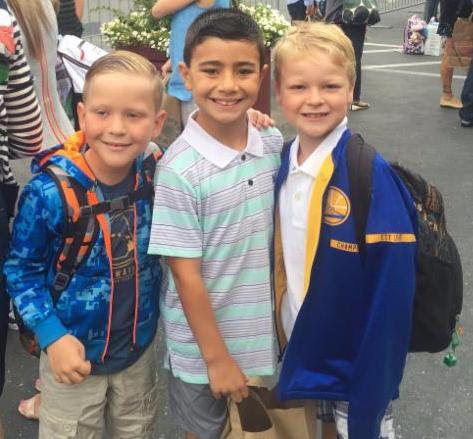 Start thinking about how Fall After School Classes might fit into your family's after school schedule. Click on class name for registration form. The billing-month ends on the 20th of each month. Therefore your August Panther House attendance will be used in your September invoice. Don't forget to let me know if you have someone else pick up your child that is not on your emergency list. Please email me their name, relationship to your child, and phone number in case of emergency. As a safety precaution, we cannot release your child without written authorization. This includes school families who may be driven to soccer practice, etc. LOOKING FOR DONATIONS:Have your children have outgrown their playthings? We are looking for lightly used bikes, balls, used i-phone, G-rated DVDs, puppets, or games. Sign up for snack donationhere- there are still several days open. 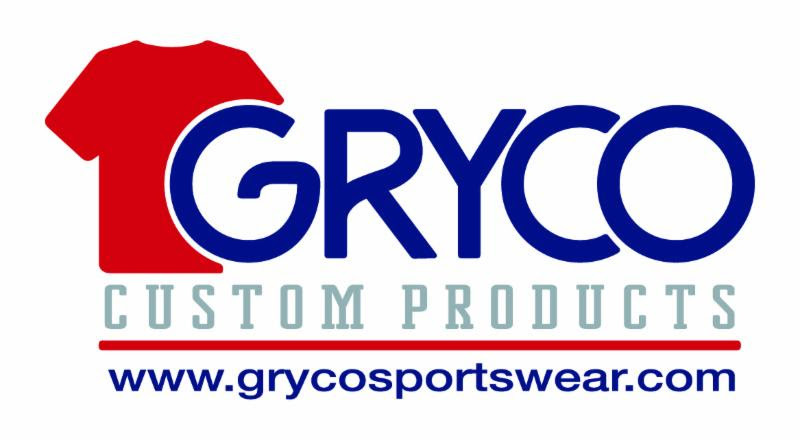 School outerwear for your students, along with additional Spirt Wear for adults, may be ordered online throughGryco Sportswear. If you would like to order outerwear for your student,clickherefor order link.Orders placed byAugust 31stwill be delivered the week ofSeptember 11. *Pleaseinitially sign up for ONLY TWO yard duty slots.Once families have signed up for their two slots, the Sign-up Genius will be reopened for families to sign up for additional shifts that can count toward volunteer hours. 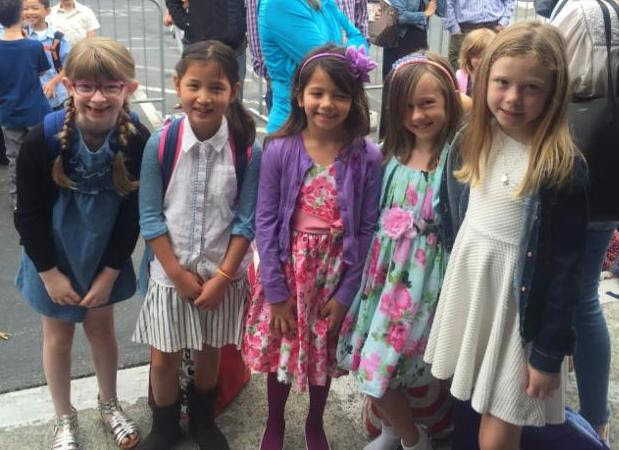 Lamorinda Theatre, one of our after-school enrichment program partners, is proud to announce the Fall '17 Musical performance calendar and registration for'Annie'. Clickherefor information or find it in 'This Week's Flyers' section. Our young musicians gave a wonderful recital in thespring and theInstrumental Music Programis now going into its 24th successful year!If you would like to have your child learnto play a musical instrument at school (or possibly in your home), the registration form can be found on the school website,here, or under "This Week's Flyers. 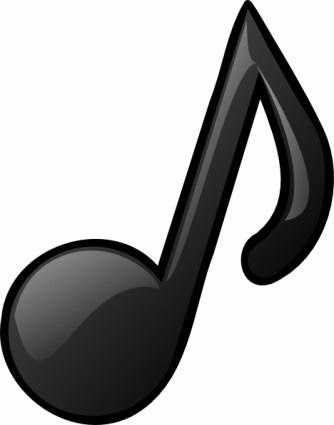 "Lessons at school will begin mid-September.Please send registration forms or questions about the Music Program to Ryan Habegger atryan@imcmusiclessons.com. Welcome to to 2017-18 school year!